Preheat oven to 350°F and spray a 9″ pie pan with baking spray. In a large bowl beat butter and sugar together until combined, then add egg and vanilla and stir them in. Stir in flour, graham cracker crumbs and baking powder. Press half the dough in the bottom and up the sides of the prepared pie pan. Place the 1 cup of marshmallows on top. Remove pan from oven and set it on a wire rack. Cool completely before cutting, or you will have a mess. 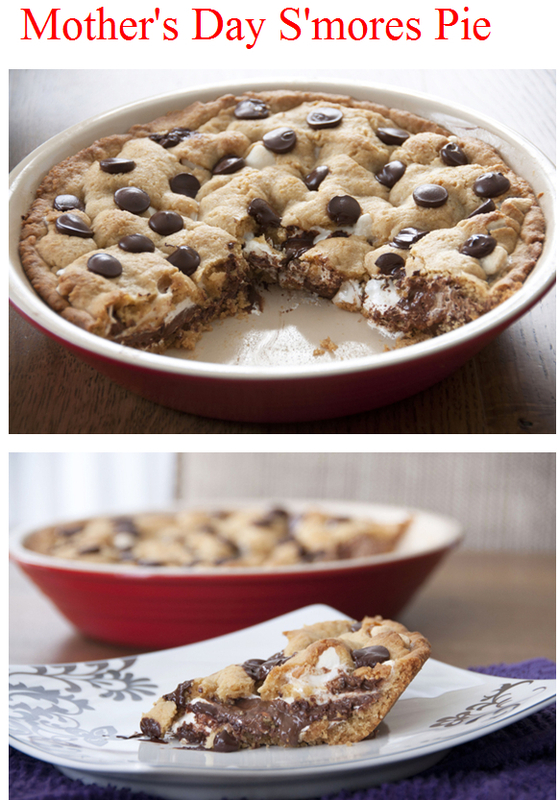 I like it best warmed up in the microwave so that the chocolate and marshmallow are nice and gooey.